With Apex 1 HRD, SRAM's innovative 1X drivetrain technology trickles down to the road bike market. Improved reliability, smoother shifting and more stopping power for roadies, commuters, tourers and trainers at a remarkable entry-level price. Not so long ago 11-speed groupsets were the preserve of pro-racers and serious cyclists with money to burn, but season after season 11-speed has trickled down the groupset hierarchies and it's finally here in SRAM's entry level, skinny tyre groupset Apex 1. Why is it called Apex 1 if it has 11 gears? That's simple Apex 1 has what SRAM call a 1X drivetrain. 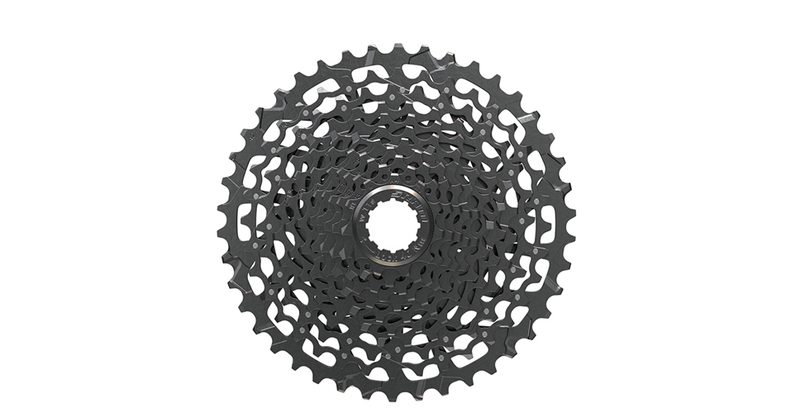 That's a chainset with only a single ring at the front but with a super wide ratio cassette at the back that covers all the gears, you would normally get from a double chainset. Why do you want a 1X groupset, well simply put, they change gear better, they never drop chains, they are much simpler to run, one less shifter, half as many gear cables, one less derailleur and you save a whole bunch of weight into the bargain- and you get 11 gears on your rear cassette. 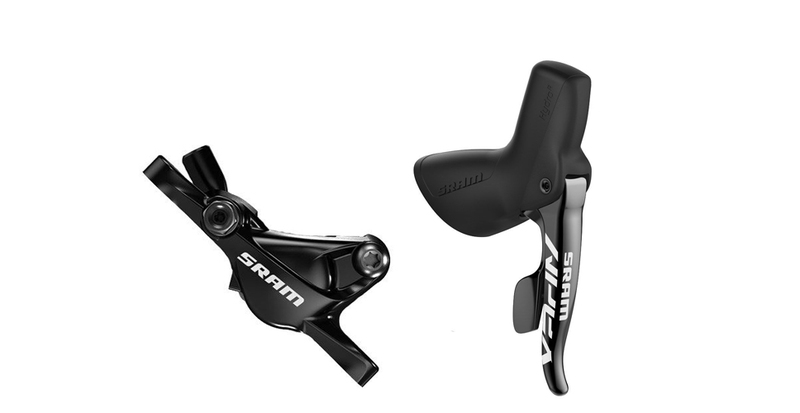 SRAM introduced 1X drivetrain into their MTB groupsets first, then into the Cyclocross versions of their road groupsets and now they've gone full swing offering 1X technology on their entry level 'skinny tyred' Apex 1 groupset. Did we mention the brakes? Not only do you get all of this but in the case of Apex 1 HRD you also get the phenomenal stopping power of hydraulic disc brakes. This versatility makes Apex 1 HRD perfect for use on road and off-road, it's the new entry level groupset for roadies, commuter, cyclocross racers and gravel adventure cyclists. steps between gears and a huge number of overlapping gears in different rings, but do you lose top and bottom ratios, not really. My 1X 38t and an 11-42 gives me all but a couple of % of my previous 11-36, 26/38 double, and it weighs a tonne less. I've removed two chainrings, heavier cranks, lost my front mech and front shifter, tidied up my bars, gained chain security and confidence in how my bike handles over rough terrain because I'm not worrying about throwing my chain. What's not to like? Apex 1 offers a huge gear ratio, packing in an 11-42 cassette at the rear it swallows the gear range of a typical double chainset. With 38, 40, 42 and 44t chainrings you can select between a theoretical 52 x 12t for flat out sprints and a 34 x 38t granny gear equivalent, certainly easy enough for any climb we can think of. The Apex 1 chainset uses SRAM's narrow wide chainring technology so you'll never drop your chain and that means if your riding off-road you can do so with total confidence. Cyclocross racers are already queueing up to try Apex 1 on their bikes. The Apex 1 rear mech shares most of the features of SRAM's higher spec MTB groupsets, it might not get the ceramic jockey wheels bearings of XX1 but that's all that's missing. The X-Horizon straight parallelogram cage shifts cleanly and silently. It uses narrow-wide profile jockey wheels for improved chain control. It's compatible with all SRAM 1x11 drivetrains, so you can mix and match with Rival 1 and Force 1. Put your money into the parts that you know take the biggest kicking, Apex 1 lets you buy smart. 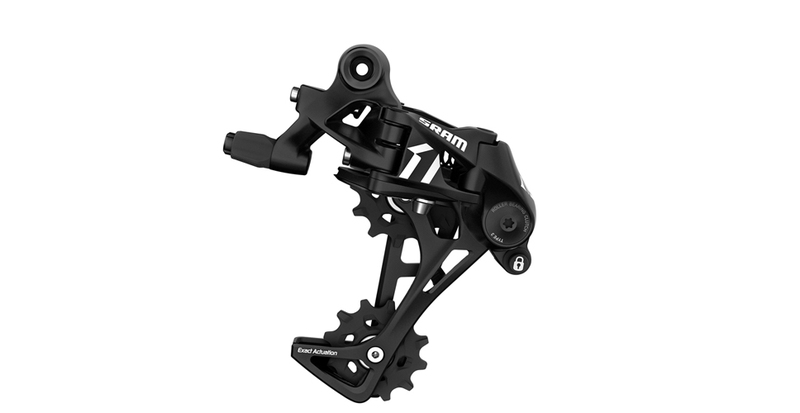 The Apex rear derailleur also features SRAM's clutch mechanism that keeps the chain tight, preventing chain slap and helping to eliminate ghost shifts and dropped chains. The secret to great fun on any ride is confident and secure braking. Letting it rip where you want, knowing that you can stop when you want. Enter Apex 1 HYDROR™. Using SRAM's proven HYDROR™ braking system, Apex 1 delivers quiet confidence on every ride. Mated to SRAM's HYDROR™ brake lever is our DOUBLETAP™ 11-speed shift lever, built to provide accurate shifting that you can rely on no matter where you ride. Designed from a long line of dependable, lightweight chains that are built for toughness, the recommended chain for APEX 1, PC-1110. Designed with SRAM’s trusted XX1 geometry, the PC-1110 features solid pin construction, 11-speed POWERLOCK® and smooth, efficient shifting that you can count on every time out. With solid pins and a chrome, hard plate finish the PC-1110 chain is up to the task at hand. It's no lightweight, hollow pin marvel, but it's also not a £40 chain. You get what you pay for here and what you're paying for is a slick shifting highly durable chain that won't let you down. And like all the other Apex 1 parts you can mix and match with any 1X chain from SRAM if you fancy an upgrade in the future. 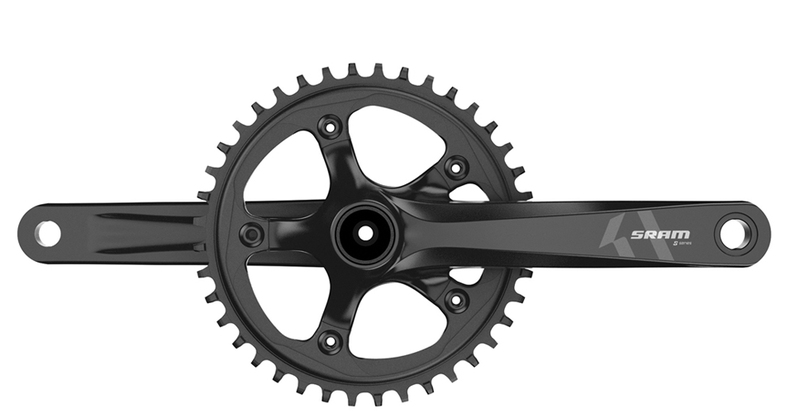 Last but by no means least in the Apex 1 groupset is the PG-1130 cassette. Available in 11-42t versions and weighing in at a decently light 538g the Apex 11 cassette is a peach. It uses stamped rings and a pinned construction to maximise strength and minimise weight. It's compatible with any other 1x components from SRAM and it fits any standard SRAM/Shimano freehub body. Apex 1 HRD packs an awful lot of technology and valued ease of use features into an entry-level groupset. It's a real price buster that offers trickle down performance from SRAM's most advanced road and off-road components. It might just be the perfect entry level groupset, it makes biking more affordable and naturally we're going to be speccing it on a load of new bikes. If there's any price to pay then it's the fact that it weighs a little more than the higher spec options from SRAM, but don't forget they all weigh considerably less than the 2X and 3X drivetrain that you're currently riding round on- and Apex 1 just works better. One less thing to worry about so you can just get out and enjoy the ride. We've already started building with Apex 1 HRD and you can already choose from the new Bish Bash Bosh gravel adventure bike, London Road Super Commuter or the incredible full carbon XLS cyclocross race bike.